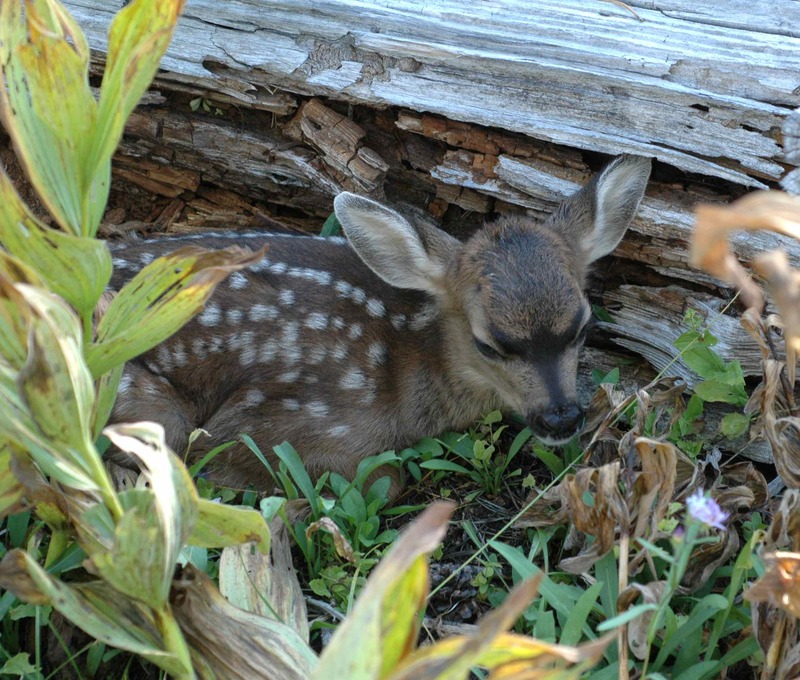 Deer will often leave their very young babies hiding while the adults forage. Much as it is for fledglings, being hidden is these young animals’ best defense. There he is: mule deer fawn. Unfortunately the fawn took fright as we were admiring it, leapt to its wobbly legs and scrambled off. I hadn’t meant to disturb it and was sorry to have caused it to move. Next time I will stay further away. The second baby mammal encounter occurred while we were target netting. In target netting, we have a nest with an unbanded female, and we are specifically trying to catch that female in order to band her. To do this, we set up the net near the nest where she sits, then approach the nest from the opposite side, flushing her into the net. On this day we were aiming to net the unbanded female that would, later, be banded AMLE. While my field assistants were setting up the net as quietly as they could, I began sneaking around to the other side of the nest to be in position. I was trying to be quiet—so as not to disturb the female prematurely—when I heard a loud rustle of brush. 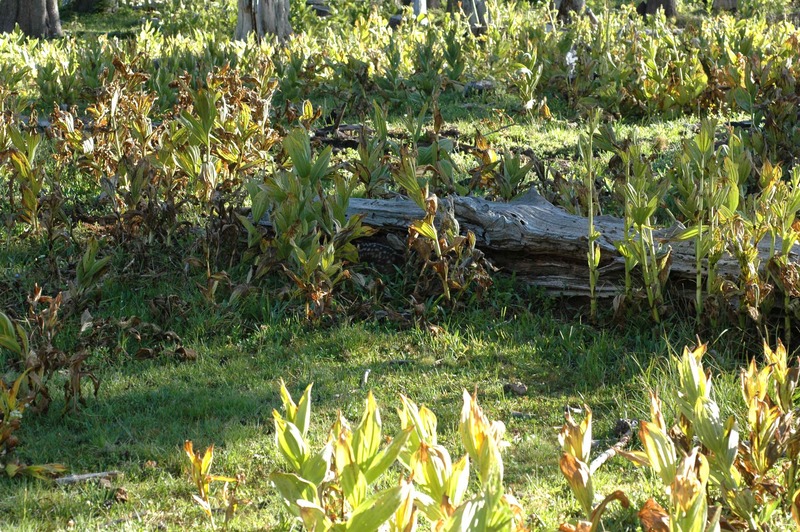 I looked toward the sound and saw a large black bear beginning to sit up. For one split moment I though Hey cool, a bear, the guys will be excited— and then I saw the two small, startled-looking bear cubs behind mama bear. I don’t worry about black bears very much. 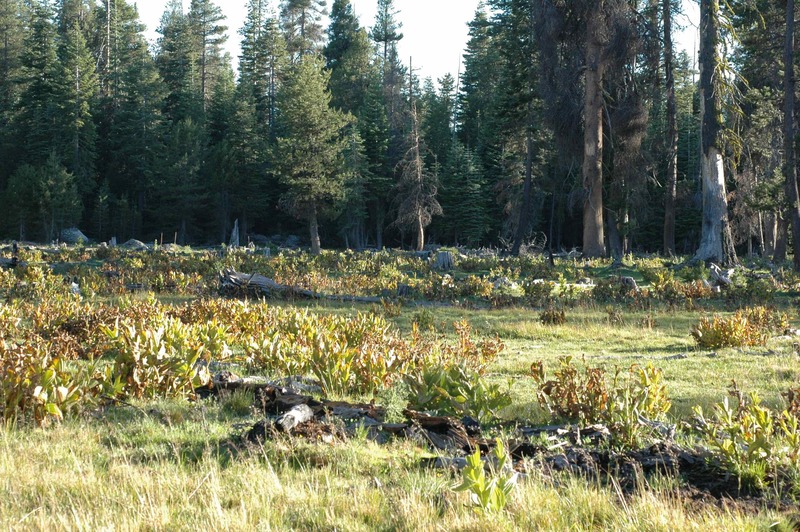 (In field work, you don’t worry about anything that seems moderately unlikely to kill you. I worry about mountain lions slightly more.) 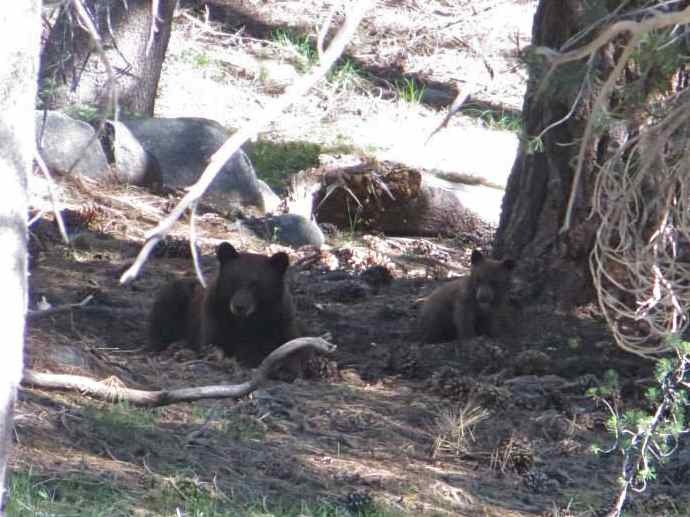 The exception to this, however, is startled mother black bears with young cubs who think I am sneaking up on them. I do worry about them. Wanting to be as nonthreatening as possible, I turned and hightailed it back up to where the field assistants were. “There’s a mama bear with cubs,” I said. “We gotta leave.” They told me later that they found this somewhat lacking in vital information—was the bear right behind me? was it coming right now?—but in any case they packed up the net with due haste, found the bears with their binoculars (to make sure they weren’t coming after us) and even took a photo. Mama black bear with one of her two cubs. The other cub is out of frame or possibly farther up a tree. Then we got out of there. When a family of bears is hanging out by your junco nest, you net somewhere else. 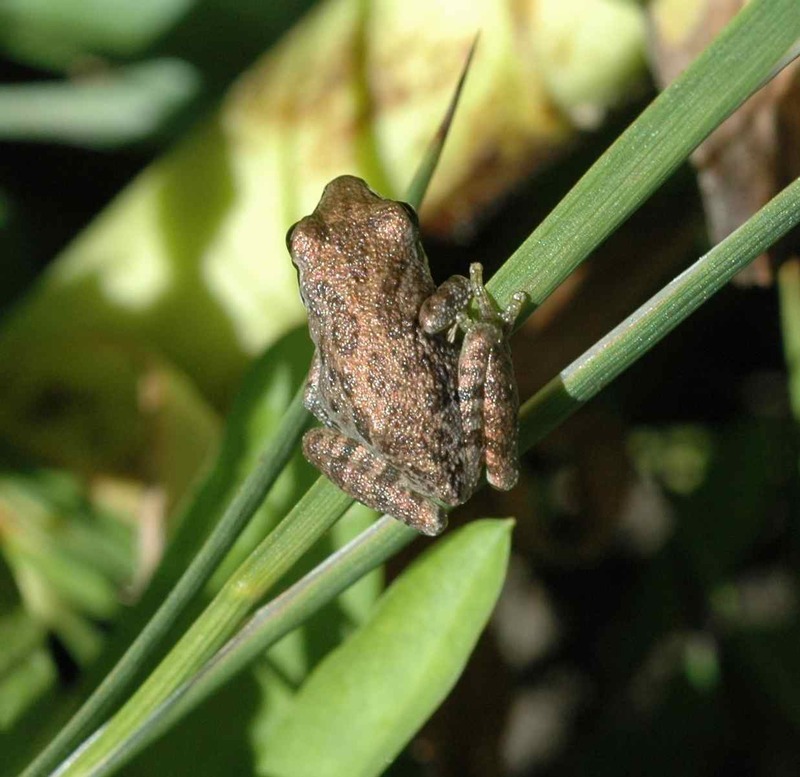 This entry was posted in field work and tagged bear, biology, deer, fawn, field work, frog, mammals by toughlittlebirds. Bookmark the permalink. The fawn is so cute. They really do blend in. I have almost stepped on one before. I enjoyed the story. Those are two quite different defence systems.